I hate the fact that my man Sean Hartter is so good at what he does, because he makes killer posters that are way better than at least 98% of the stuff that is churned out by other artists all over the Net. That is why I don't mind posting his stuff as often as I do. 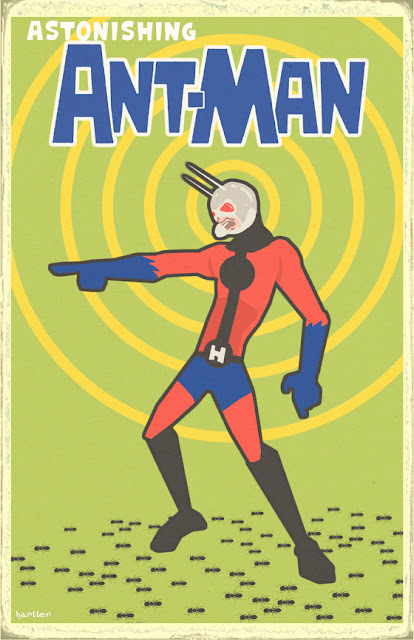 He just posted another killer one, this time an Ant Man poster. The Astonishing Ant Man was always one of my favorite characters and I absolutely love Hartter's rendition. Kudos once again buddy. Great is great, and I post greatness... check it out in its full size glory after the jump!!! Thanks sir, I'm glad you dig it. Thanks for the awesome words too.